Note: This is the last post of a three-part series about Simple Goodness on the Farm, which is part of Land O'Lakes Kitchen Conversations. The first post is here and the second post is here. 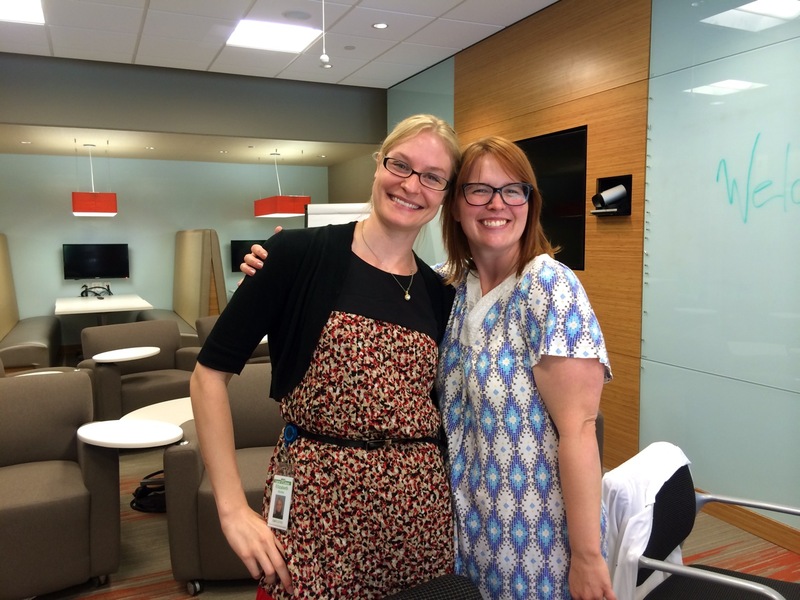 I also wrote a brief post about the event for the Land O'Lakes blog – you can read it here. 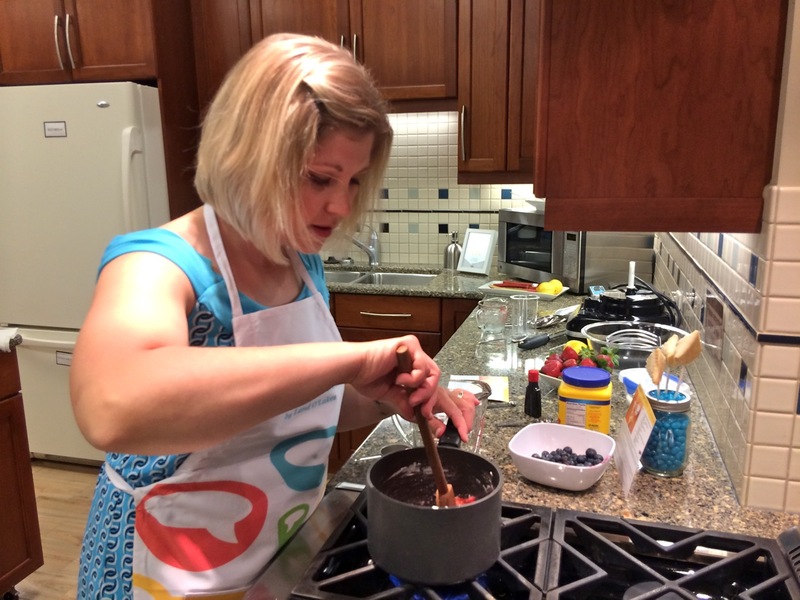 After a fantastic day at our farm and a wonderful dinner together, Day 2 of Simple Goodness on the Farm with the Kitchen Conversations bloggers was held at Land O'Lakes headquarters. So, it wasn't really on the farm, but it was a natural extension of what happens to milk after it leaves dairy farms. And it was just as much fun as Day 1. 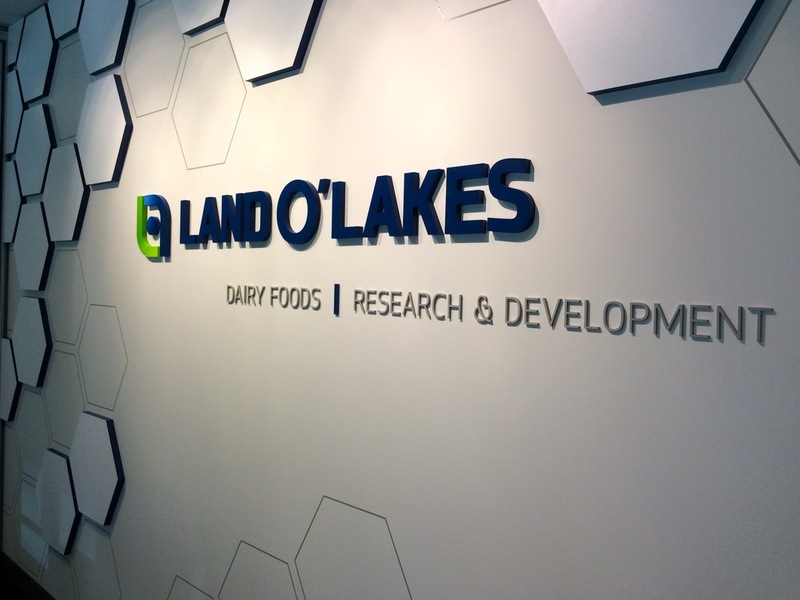 The first part of the day was spent touring the Dairy Foods Research & Development facility adjacent to Land O'Lakes headquarters. 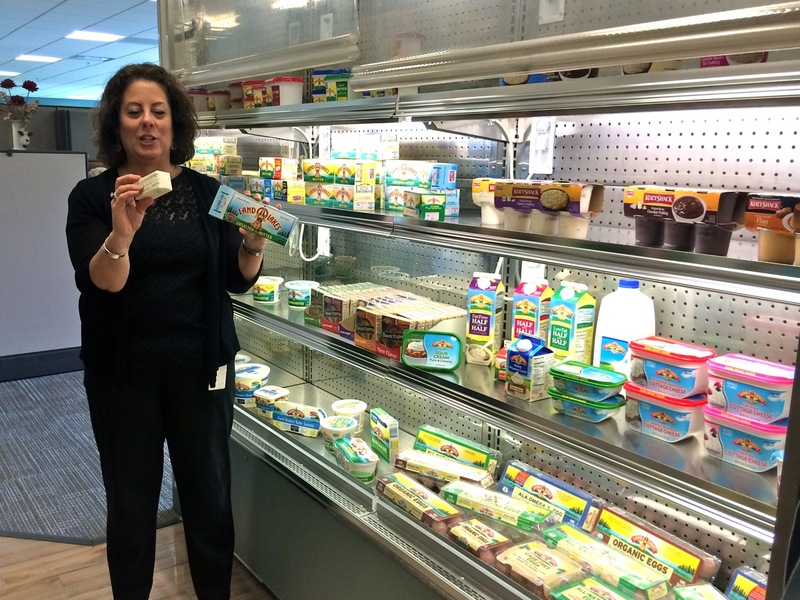 As a member-owner of Land O'Lakes, it was really neat to see what happens behind the scenes and meet some of the employees who help develop some of the Land O'Lakes dairy foods made from our farm's milk. We met with Susan (pictured below), who works in one of the kitchen/labs where recipes are developed. Susan is a food scientist who also happens to be a Minnesota State Fair blue ribbon winning cookie baker. 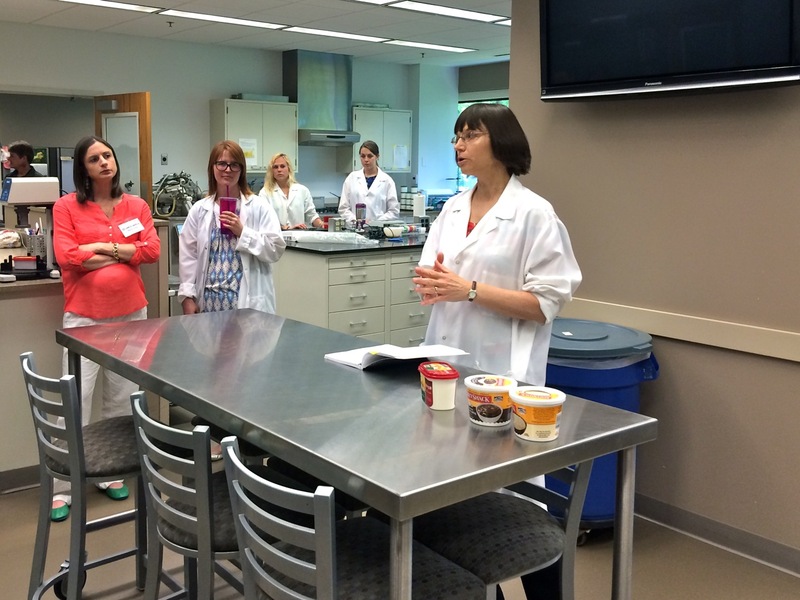 She explained the collaboration between her lab and the Test Kitchen and talked about the steps involved in developing a new product. After a recipe for a new product has been developed and tested in the kitchen/lab, the recipe is sent to what's called the pilot plant. 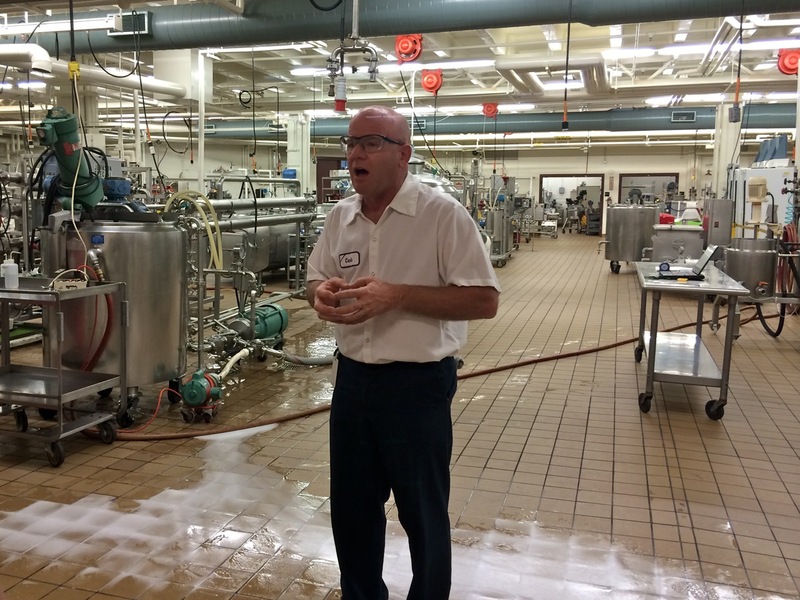 The pilot plant has scaled-down versions of all the equipment in Land O'Lakes' full-sized dairy plants – everything from butter churns to cheese presses to evaporators. Carle (below) has been in charge of the pilot plant for the past couple decades. His passion for what he does truly made me smile. New products also need to pass taste tests. Elizabeth and Alyssa (below) explained how taste testers are involved in the product development process and taught us how to be taste testers for a little while. After training our taste buds with cream, we had to determine which milk sample contained more milk fat. 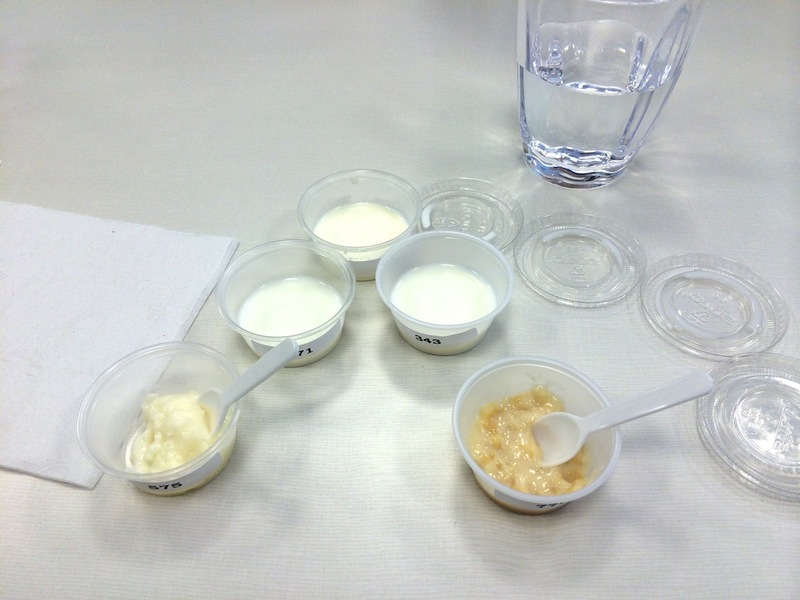 Then we used our new taste description skills to evaluate Kozy Shack rice pudding and another brand of rice pudding. We also tested our inherited tasting ability and I found out I'm a supertaster. One of the reasons Glen and I choose to be members of Land O'Lakes is the caliber of the cooperative's employees. Everyone we work with seems to genuinely care about their work and the cooperative. 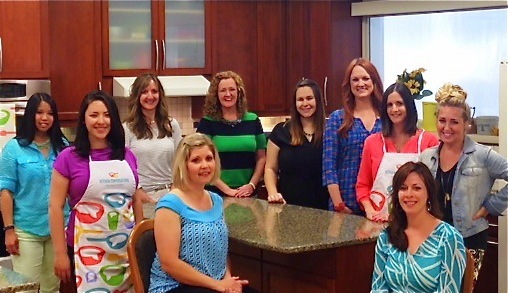 The employees we met in Research & Development furthered my belief that Land O'Lakes employees are top notch. 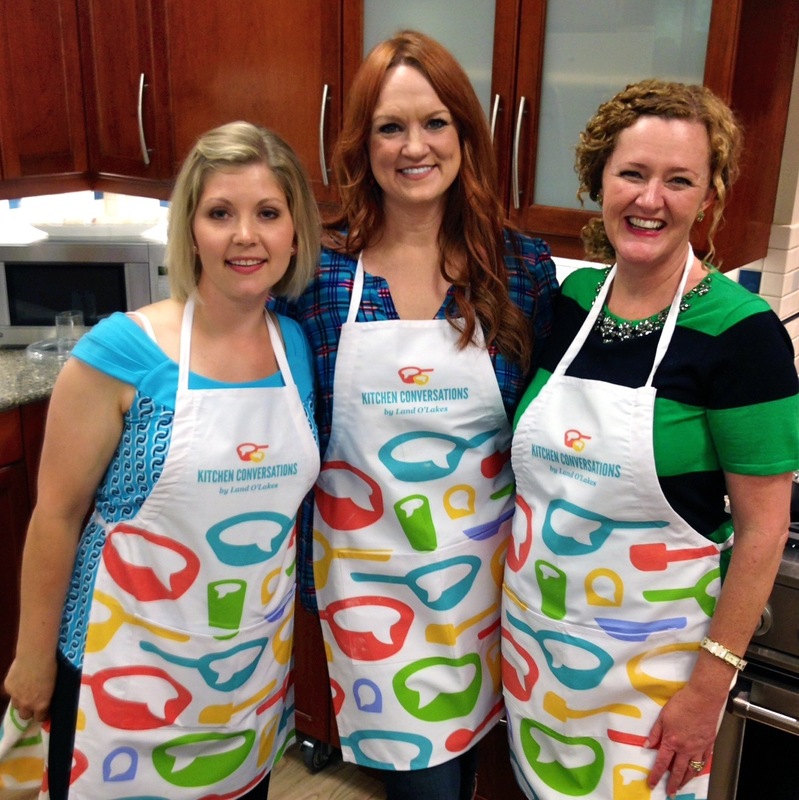 Following our visit to Research & Development, Becky gave us a tour of the Land O'Lakes Test Kitchen. The Test Kitchen includes a restaurant-style kitchen, a home-style kitchen, a pantry, freezer and refrigerator big enough to get lost in, and a retail display. Below, Becky is showing us the difference between the sticks of butter sold on the west coast and the sticks of butter sold everywhere else in the nation. I had no idea sticks of butter came in any other size and shape than the ones I'm used to. After our tours, we got to spend some time in the home-style part of the Test Kitchen – baking pies. Prior to this experience, I had never made pie crust; Glen is the crust maker and pie baker in our house. So I was excited to try my hand at pie crust, especially because there were so many kitchen experts on hand to lend advice. Baking together with a kitchen full of people over the age of seven was definitely a treat for me. And so were the pies we made. I made a strawberry-rhubarb filling for my pies. Some of the gals had never tried rhubarb before. Who knew? My mom had four rhubarb patches bigger than cows, so we ate rhubarb in nearly every summer baked treat...at least until the zucchini was ready. The pie crust, made in the food processor with 100% butter, turned out great. 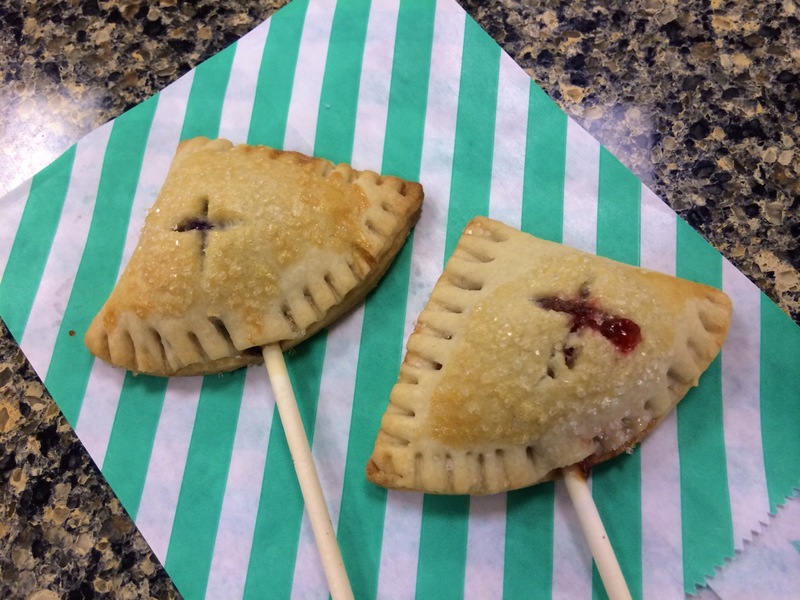 We turned the crust and filling into these cute little pie pops. But they weren't just cute; they were delicious, too. And I'm not normally a big pie fan. The pies were a tasty addition to another fun day and a great event – like the cherry on top of a sundae.